The upcoming issue on Animal with Various Roles – Working Dogs will be released on 18 January 2018. 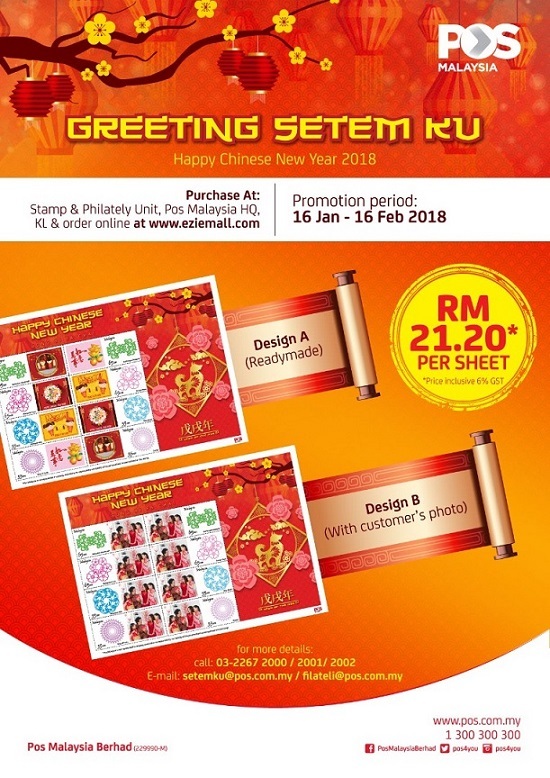 Meanwhile, a Personalised Stamp Sheetlet (Setemku) was released today in conjunction with Chinese New Year 2018. 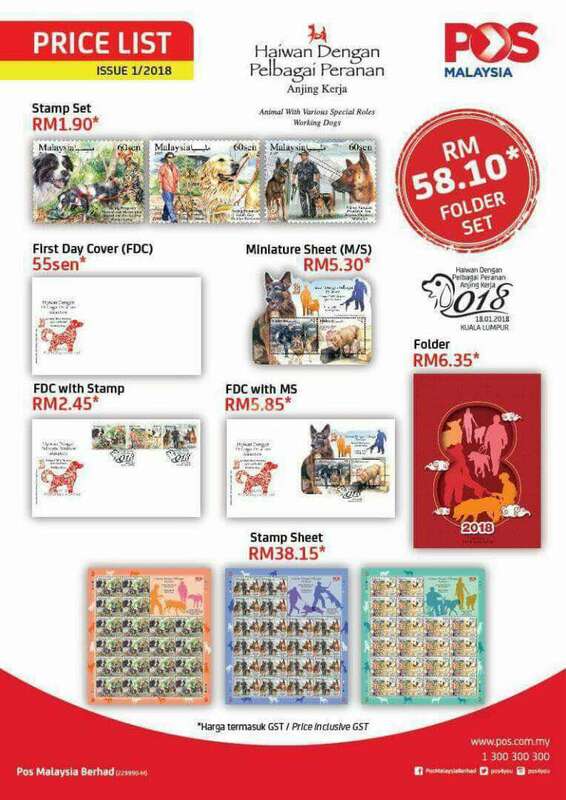 It retails at RM 20.00 excluding GST.